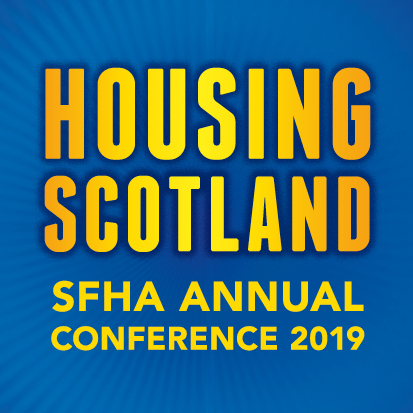 At this year’s SFHA Procurement Conference, which takes place on the 13 February at the DoubleTree by Hilton in Glasgow, Graham Collie from SPA will lead a session alongside John Duncan from Eildon on New Build Frameworks. In this workshop, Graham will discuss the offsite frameworks and how modern methods of construction are speeding up the process including SPA’s own NH1/NH2 framework. John will then describe how working with a framework has benefitted Eildon as the association increased its new build programme. The Development Conference, taking place on the 12 February, is followed by the Procurement Conference on the 13 February. Throughout the two days, delegates can expect sessions on innovation, planning for the future, collaborative development, review of Procurement in Public Construction Review, Maximising the Benefits of Frameworks and Community Benefits and ‘Beyond 2021’. Both conferences take place at the DoubleTree by Hilton Glasgow Central, with SPA as the main sponsors. Delegate fees start at £219 for SFHA members for each conference or why not book to attend both the Development Conference and the Procurement Conference for just £375? A saving of £63! A different delegate can attend each day!